It's time to get your order in for hop rhizomes! We'll be taking pre-orders through February 15th and the rhizomes are scheduled to be delivered in early April. 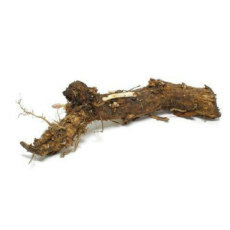 Rhizomes are an agricultural product and cannot be guaranteed. We recommend ordering at least two per variety and plant in pairs to improve the chances of growth! New to growing hops in your backyard? Then checkout our Hop Rhizome Growing Guide for some help! 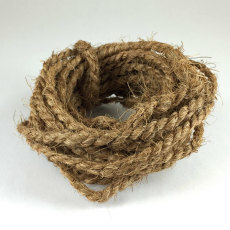 All-natural coir twine, the same that professional hops farms use, available now for your personal hop garden! A classic American Ale aroma/flavoring hop, which adds a distinctive citrusy grapefruit character. Reserve your Cascade hop rhizomes today for an early April arrival. Grows well in all climates. Floral and citrus tones. Reserve your Centennial hop rhizomes today for an early April arrival. Grows well in all climates. A high-alpha content hop, with an intense citrusy hop aroma and woody character. Reserve your Columbus hop rhizomes today for an early April arrival. Grows well in dry, hot climates. Grapefruit and citrus tones. Reserve your Comet hop rhizomes today for an early April arrival. Resiny, candy-like and sweet profile, with a slightly floral aroma. Reserve your Golding hop rhizomes today for a an early April arrival. Grows well in hot climates, but mild and moist climates are preferred. High-alpha hop that provides a clean and neutral bitterness for almost any recipe. An aroma hop similar to Hallertau that is mild, herbal and somewhat pungent. Reserve your Mt. Hood hop rhizomes today for an early April arrival. Grows well in all climates. Floral, resiny, and candy-like aroma/flavor. A very vigorous grower in Indiana. Reserve your Nugget hop rhizomes today for an early April arrival. Grows well in all climates. An excellent substitue for Saaz! Reserve your rhizome today for shipment in early April. Grows well in all climates.